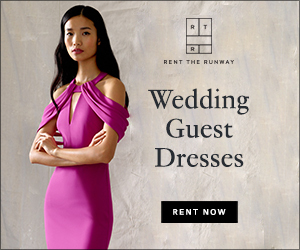 Honey Bee Weddings: Check Out our picks from Rent the Runway + 20% off! Check Out our picks from Rent the Runway + 20% off! Last week, Honey Bee Weddings had the opportunity to be on WCIU You and Me. Click this link to watch the full segment and to see some of Rent the Runway's beautiful dresses on TV! We showed off some incredible looks from Rent the Runway on WCIU last that are perfect for every kind of wedding. If you are interested, Rent the Runway is bringing back their popular 20% off coupon for first time customers! We loved Amanda Uprichard's Blue Delilah Maxi for a beautiful beach wedding or even for a more relaxed event before the wedding day. This gorgeous dress has a starting rental price of $55. This Artico Illusion Sheath dress by La Petite Robe di Chiara Boni is so versatile and can be dressed up or down for weddings, engagement parties, rehearsal dinners, and more. Rentals for this designer look start at $85. 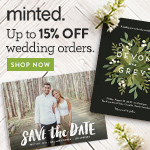 Find these dresses and more looks for your special day at Rent the Runway! Get 20% off your first purchase with code FIRST. Happy shopping!